You must make reservations at least 5 minutes in advance of the time at La Cena Restaurant. Sunday: CLOSED. Opened only for pre booked events. Call for details! Live entertainment Tuesday through Saturday. Great bands all with their own unique style! 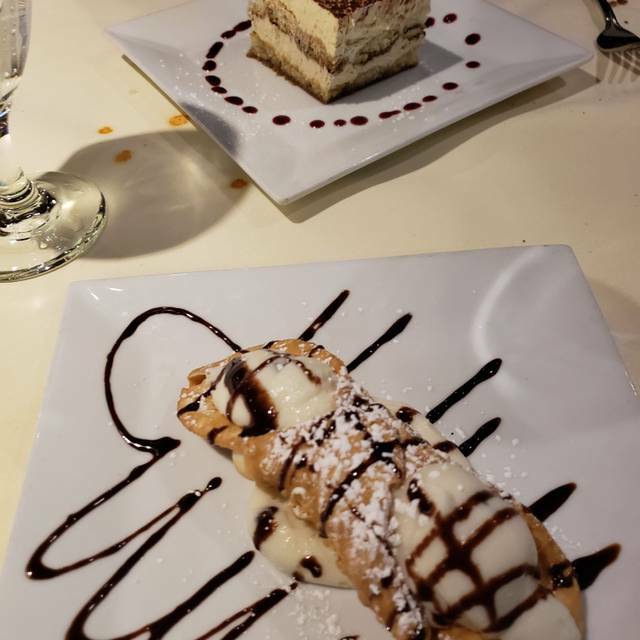 La Cena Ristorante has been in the heart of Bensalem, PA for 25 years and we are still going strong! 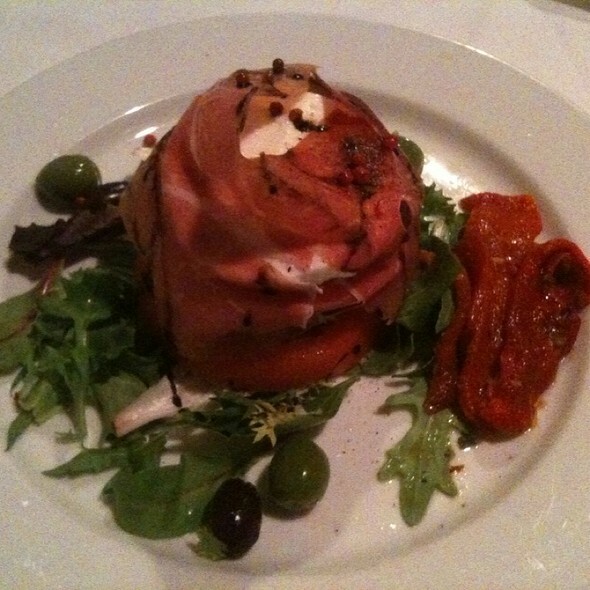 We offer delicious and authentic Italian food that is made with only the freshest ingredients. We offer a full bar that comes complete with live entertainment and, we also offer delicious daily specials in addition to our traditional menu. At La Cena we are proud to offer a fine dinning experience at a great price. Simply put, we aim to please! over spring mix, tomato, fresh mozzarella, fresh basil, balsamic vinaigrette, and extra virgin olive oil. Excellent food, decor, music, and ambience. Service was a bit lacking in that we had to wait to get someone to notice us to take our order while another larger group who arrived after us was served first. Things improved after that initial hiccup however. The food was top notch with a decent every day menu and delicious daily specials on offer. I'll definitely be back. It was very crowded (good for the restaurant), food is much better than it used to me. Fantastic food and our server was first rate. I highly reccomend this restaurant! Great restaurant! I didn't know what to expect pulling up, but once inside it was very nice and classy. 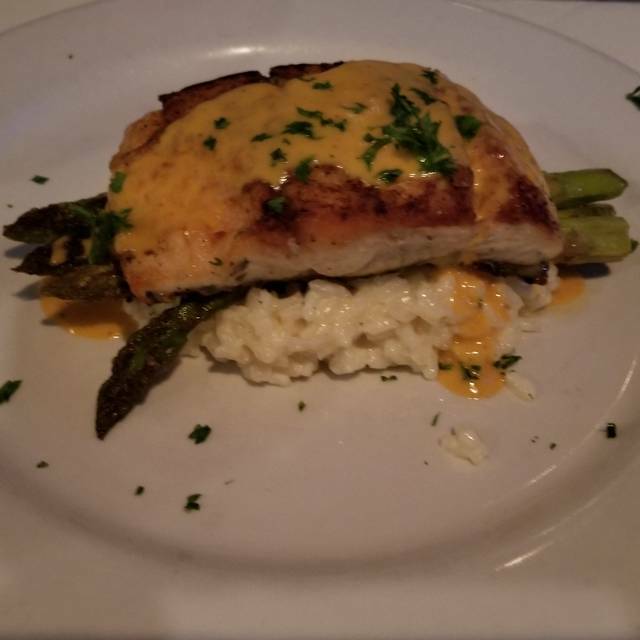 The food was great, service was great and we enjoyed it. I will come back again. Outsatanding from start to finish. The staff was very accomadating. Our server, Steve, was very personable and added to the meal. The food was spot on in flavor and preparation. I have been going there since they opened. Have had several parties there also.Great atmosphere. Food is always good,as well as service. This was my first time here. Food was delicious, a little on the pricey side. Ambience was good. Music (duo) was an added benefit! Good food and drink are to be found at this hidden little treasure. Their live music is good, and we'd like it even better if La Cena would have it on even more fine evenings ! Our server, Mike was outstanding and the food came out hot and delicious. I was with 5 other women on Saturday for our friend who is moving.Everyone enjoyed their food,drink and dessert. The waiter Michael was so nice and very professional. Exveptional food and service.I cant wait to take my husband there soon. I was there at my girls Christmas luncheon in December and also had Michael . I really enjoy your restaurant and look forward to coming again real soon.I will recommend LeCena to all of my friends.Thank you for a great evening . This visit was to celebrate a birthday. My girlfriend had a great time. Her salmon was good, she definitely enjoyed the dinner entertainment. She has already requested another visit. My husband and I went here for our wedding anniversary. It had a fun vibe, the staff was very friendly and helpful. The food was delicious! 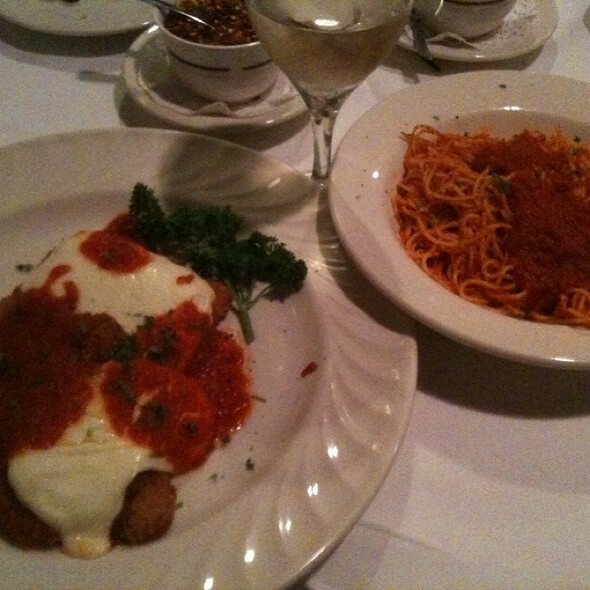 He had veal parmigiana, I had the penne alla vodka and it was perfect! The food and service was superb. We loved the atmosphere, too -- the live musician was very good and played selections totally appropriate to the environment. Both my husband and I ordered the specials and were not disappointed! Excellent dinner. Food was great, server was awesome and the band they had was so good!! We had a really enjoyable time. Will definitely be back!!! I’m always impressed with the way this restaurant is run from the wonderful hostess to the wait staff to the bus people!! In addition, the food is delicious!! Nice live music at this good restaurant, on selected evenings . Made reservation and told it was a mistake by open table. Seated at a high top in the bar area which was fine. Brought bread and water. No server comes over for drink or good order. Waited 15 minutes then told we had to get our own drinks at the bar. Decided to leave at this point. First bad experience here ever. SATURDAY NIGHT, BUSTLING, NICE PEOPLE, DECENT FOOD, BIG MENU, FOOD COULD BE BETTER, 1980'S FEEL. Good food, lively on a wednesday night. We had a nice meal and a good time. Will go back. Service and food were great! We will definitely return. Great food. Expert service. Great overall dining experience. We were looking for somewhere different to eat on Christmas Eve. My son is a vegetarian so it makes it very difficult to find a restaurant that offers a variety of vegetarian options. That being said we thought we'd give it a go, there's always pasta. We arrived at the restaurant and were seated immediately. My son had several choices and the food was amazing. The entire staff was polite and very accommodating. Our family had an enjoyable and relaxed Christmas Eve dinner without feeling rushed. We will definitely be going back. We had a lovely dinner w/friends before a show. We have had dinner here before and have been back a few times. The food was delicious, our server Stephanie was gracious and professional. Our only suggestions is to have the people who bring the food know who get what entree instead of asking, "who gets the..." . It is our own personal gripe. We love this restaurant and will be back. Nice time out for date-night! Food delicious. Service was fast and polite. We were there with friends we had not seen in 5 years. All 4 of us were very pleased. The food was superb - all freshly made and we each had a different entree. The staff treated us royally. The hostess and our server, Sam, were outstanding. This is a place I would definitely return to and recommend . Amazing service. Extremely tasty/fresh food. A hidden GEM in Bensalem. Made a reservations after viewing reviews. We at first were seated right in the front where we asked to be moved away from the bar/music for a more quiet experience. Our waitress rarely checked in and it took over a half hour for our entrees to come out where we than made her aware that we never even received our appetizer. She apologized and tried to reconcile for the mistake. Food was alright but nothing really worth going for again. Great food and great staff! Will be back again! The staff was very friendly & the manager remembered my name from the last time my wife and I were there. The live music was excellent! Everything was wonderful except the hostess was listening to something on her cell phone that was so loud that it drowned out the piano music in the backroom which we were not seated in. All 4 of our group loved the food and live music!